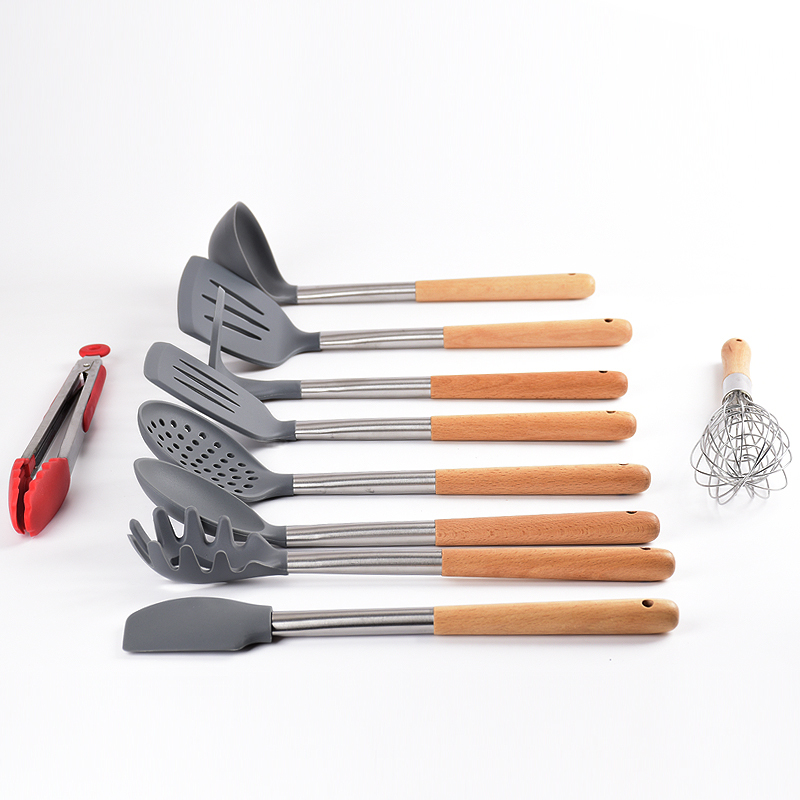 1.This 10 piece Silicone Utensils Set is made of 100% food grade silicone,stainless steel,rubber and wooden handle. 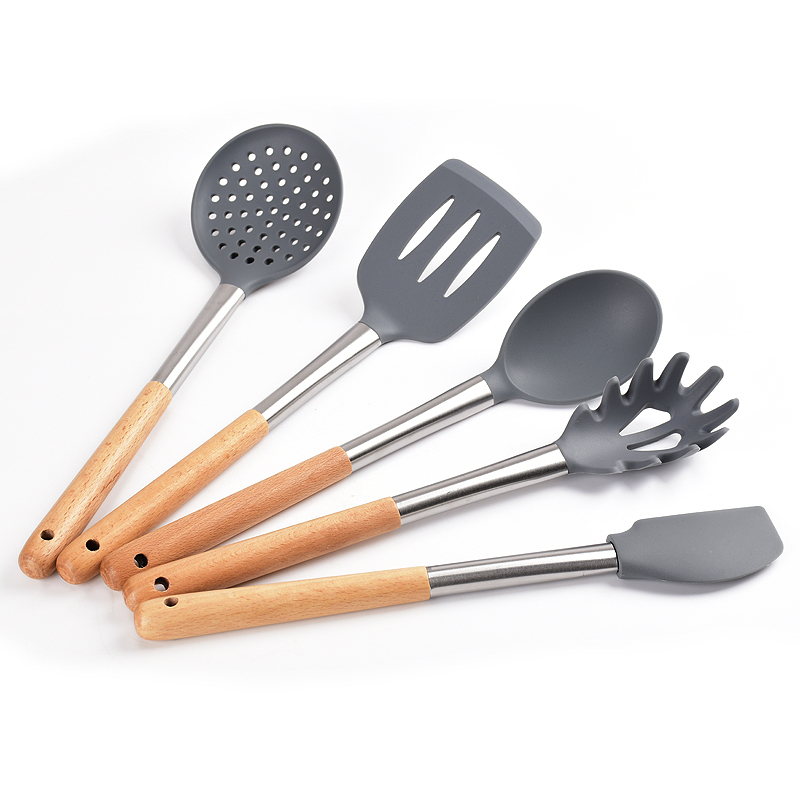 2.Non scratch - This Stainless steel utensils set makes them very user friendly when dealing with non stick surfaces. The Kitchen Utensils silicon heads cannot scratch or damage non stick cooking pots, pans and woks like wood or metals spoons do. This flexibility makes them very useful in scraping cake batter off the mixing bowl. 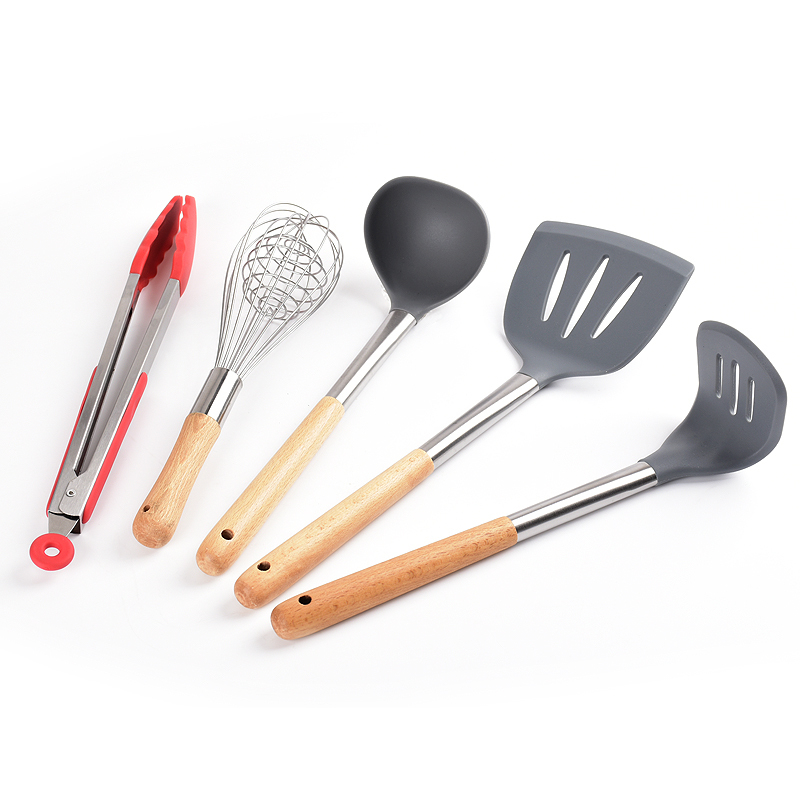 Cooking with the non stick Silicone utensils set will protect your cookware from any scratches. 3.High heat resistant - All this Kitchen Accessory silicone parts are heat resistant up to 230 degrees Celsius or 446 degrees Fahrenheit. If you are using our silicone utensils, you do not have to worry they will melt if you accidentally leave them in the pot for a while. 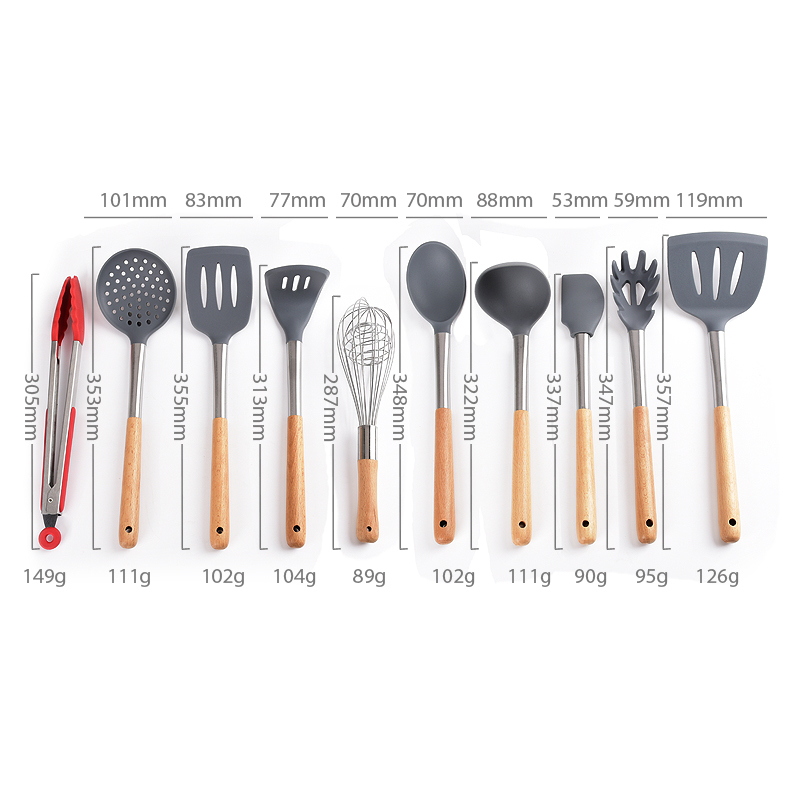 Set includes: food tongs,spatula,deep ladle,skimmer,slotted turner,Potato Press,pasta server,solid spoon,fish slotted turner and whisk. 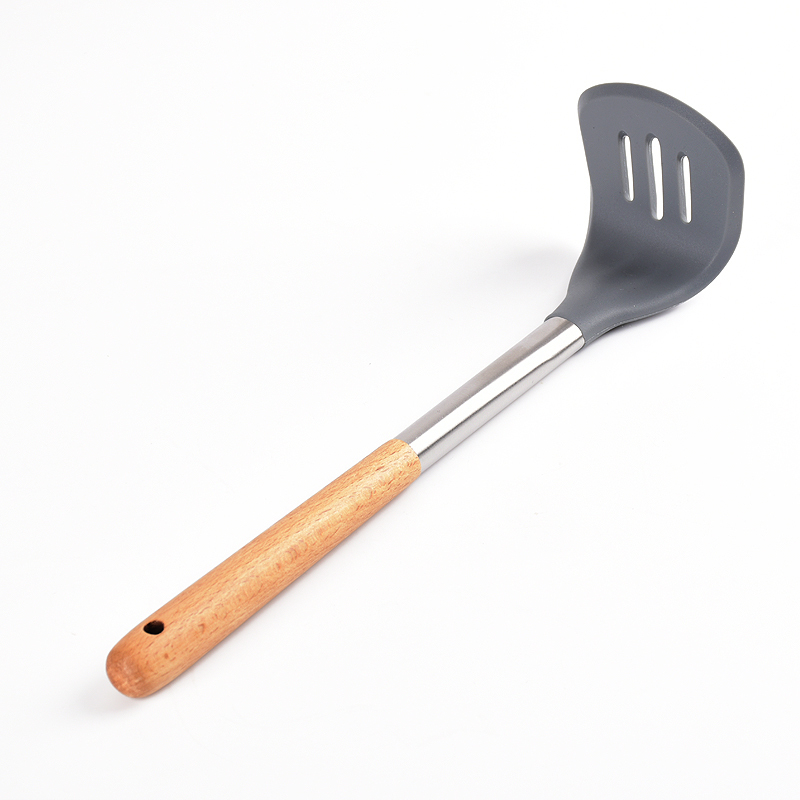 Looking for ideal Kitchen Utensils with Wooden Handle Manufacturer & supplier ? We have a wide selection at great prices to help you get creative. 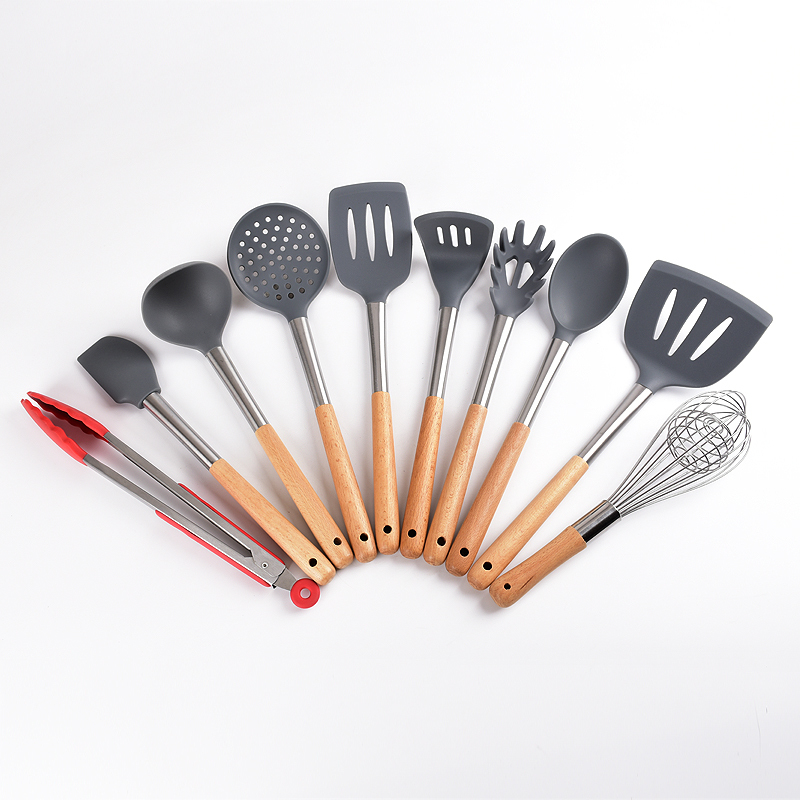 All the Silicone Kitchen Utensils with Wooden Handle are quality guaranteed. 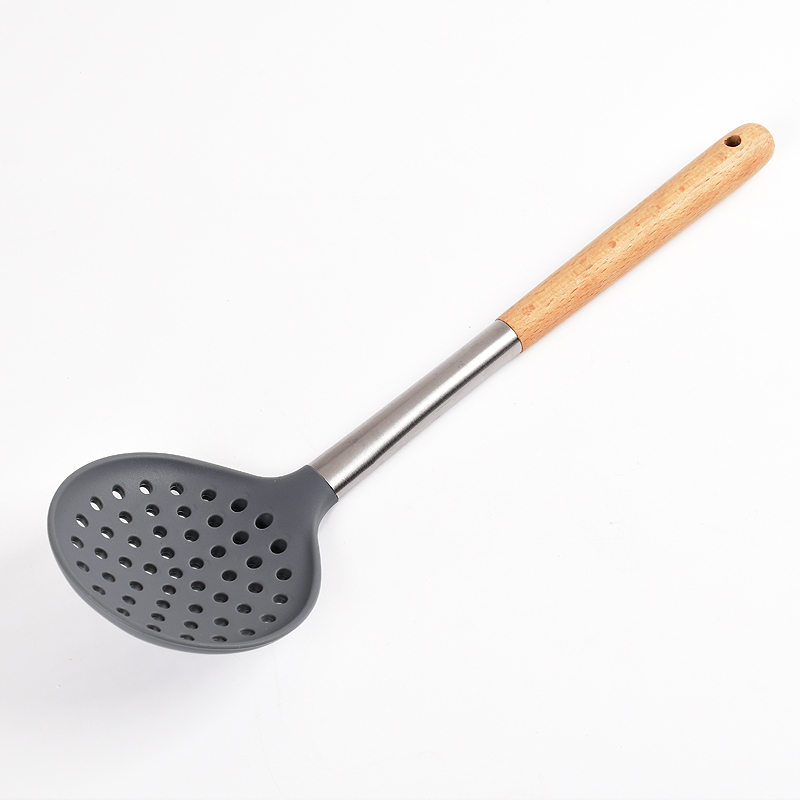 We are China Origin Factory of Bamboo Kitchen Utensils. If you have any question, please feel free to contact us.